We added some of our new 2009 Halloween Bows and will be adding more Halloween bows throughout the week. And don't forget to add our Halloween Flip Flops to your shopping cart! Okay, so some of you might be thinking, "Flip flops in October????" Well, here in Texas, we can pretty much wear flip flops and open-toed shoes all year 'round!! Especially during October!! Vintage Bobby Pins ON SALE! ON SALE THIS WEEK ONLY!! Halloween Crochet Headbands and Hats have arrived! New Halloween Crochet Headbands and Hats are here! And boy are they are adorable! 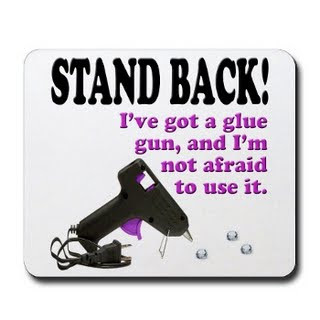 I can barely stand it! I can't wait to start putting together Halloween outfits! It's my favorite time of year and if you thought the watermelon wardrobe was out of control, wait 'till you see us during Halloween! Orange and Black from head to toe!! We also restocked the Girls Pink Crochet Hats and added some new Pink Crochet Headbands with Light Pink Daisy Flowers - super cute!! LOTS and LOTS of other new bows coming soon!! Tons of new ribbon is coming in daily so expect to see some new fun stuff soon!! ...and we have more on the way! The Pink Crochet Beanies should be here next week. Watermelon Seed Bows are here! Our new watermelon seed bows are so yummy!! We have a variety of styles available. Limited quantities so get yours today - once they are gone, they're gone!! And they match the Gymboree Watermelon Picnic and Watermelon Girl lines! And here's a fun little treat we made today - a Watermelon Slushy. Super easy to make and perfect for the miserably unbearable torturous summer heat (here in Texas)!! Place the watermelon and yogurt in the blender. Puree. Pour the mixture in a bowl and place in the freezer for an hour to an hour and half. Stir it about every 20 minutes to help it freeze uniformly or the edges will freeze solid and the center will still be liquid. Thank you GreenLiteBites.com for this yummy treat! We barely have time to sneeze here at Cutie Pie Bows but that's the way we like it!! Believe it or not, Back To School time is our busiest time of year! And even though we're busy, our creativity can't be stopped! Here's a look at what's "coming down the pipe." We are now on Twitter! To keep you on your toes, we'll be adding "secret twitter" specials so check us out as often as you can! Psssttt: check it now for a great special offer going on TODAY ONLY!! Our Twitter updates are on the bottom right side of our blog (scroll down now and look on the bottom right side under the heading TWITTER UPDATES). In the future, look for blog posts that say "Tweet!" for our "secret twitter" specials. **Our secret twitter specials can only be used at time of purchase. Under no circumstances will we "add" a code to your order after it's been placed. Thank you for your understanding! 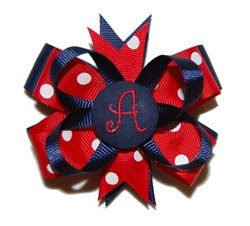 We will be adding new M2M (Made to Match) Gymboree Watermelon Picnic Bows soon! If you follow our blog, you know we LOVE all things watermelon!! We just got in a new shipment of watermelon seed ribbon and it's too adorable for words!! New crochet beanies will also be added soon...we have white, cream, pink, hot pink, brown and many more colors that you will just fall in love with!! Believe it or not, Halloween Bows are flying off the shelves!! We'll be adding new ones in the next few weeks. Our favorite one so far is the new polymer clay Candy Corn Bow - you won't be able to resist it! NEW Vintage Bobby Pins! So cool and cute!! These Vintage Bobby Pins are too cute for words!! Dress up your wardrobe with these cute little additions! Perfect to tame those little wispies or to tuck into a ponytail or bun!! Back to School Bows are here!! Looking for something to SPICE UP that boring school uniform? 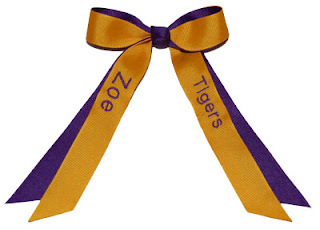 Or looking for the perfect bow to match all those cute school clothes? Well, look no further! Our Back To School bows are the perfect accessory for any outfit! Headbands, Monogram Initial Bows, Cheer Bows and many many more!! Football season is almost here and we've been getting tons of requests for Houston Texans bows so here they are!! Check out these bottlecap bows and many more at http://cutiepiebows.com/catalog.php?category=154. 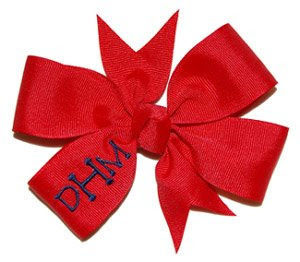 We can also custom design a bow for your favorite team! Just email us at info@cutiepiebows.com.